We are so happy to announces Shawn Maholland Fegan as the new Garden Spa Director! Shawn has been a dedicated massage therapist for Sage Hill for nine years, specializing in deep tissue and Swedish massage and reflexology. Shawn will be responsible for further developing the spa's offerings including new treatments, techniques and staff training. 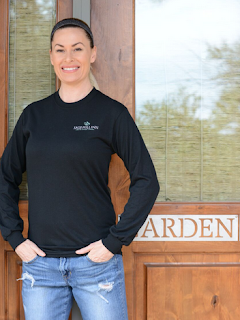 This month Shawn also welcomes six new therapists to the Garden Spa team. Way to go Shawn!